Along with its companion volume, this book offers a fascinating glimpse into the current avenues of research into colour, a phenomenon which daily affects all our lives in often surprising ways. 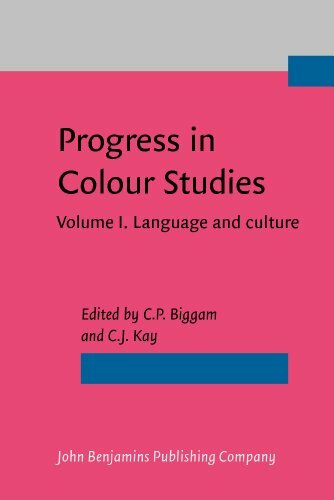 The majority of the papers originated in a 2004 conference entitled ‘Progress in Colour Studies’ which was held in the University of Glasgow, U.K. The contributions to this first volume, which is principally linguistic and anthropological in content, and to its companion on the psychological aspects of colour, present either summaries of state-of-the-art colour research in various disciplines, or in-depth accounts of certain aspects of such work. This volume includes approaches such as Natural Semantic Metalanguage, social network analysis, quantitative analysis, type modification, vantage theory, the centrality of social norms of inference, place-names and heraldry. In the process, new insights are offered into the following languages: English, French, Portuguese, Sorbian, Burarra, Cape Breton Gaelic, Tzotzil, and others. If you have any questions about this product by John Benjamins Publishing Company, contact us by completing and submitting the form below. If you are looking for a specif part number, please include it with your message.